Jakarta, 25th April 2014 – “This year I’ll be joining the EQ8 Caterham Racing Team. Hopefully, I can achieve maximum result to bring the name of our nation, and next year I can join F1, “said Pertamina GP 2 Racer Rio Haryanto in a press conference at Empirica Hall A, SCBD on Tuesday (1/4). Rio recounted his physical and mental preparations, including the pre-season test at Yas Marina Circuit, Abu Dhabi. “The result was satisfactory as I was able to perform as the fastest. What I really hope is that I can get supports from the people of Indonesia, “said Rio. “And of course, I also would like to thank Pertamina who keeps supporting me,” he said. 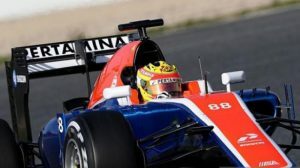 To be able to enter F1, according to Rio, a racer does not have to be the overall champion of GP 2. However, if you can be the champions of the series for three times, it will interest the F1 team. While Vice President Corporate Communication Pertamina Ali Mundakir said, Pertamina has been very supportive to Rio since he competed in GP 3 in 2010 and stepped up to GP 2. “Hopefully this fifth year will be the year that will make all of us proud,” Ali Mundakir said. “This is why we continue to support Rio, and also Pertamina, to be the pride of Indonesia,” said Ali, hoping Rio can enter F1. 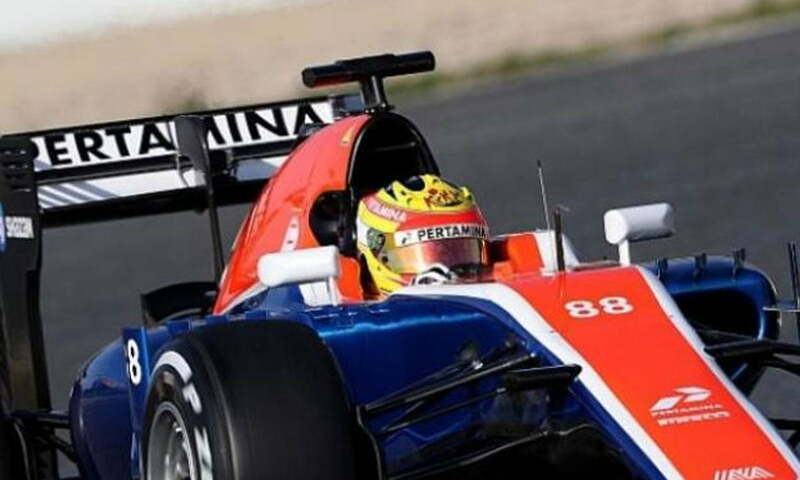 2014 is the third year of Rio competed in GP 2, which he wishes will be his last year. Hopefully, next year he will be able to break through F1, the highest single seater race. Also presented at the press conference were Youth and Sport Minister Roy Suryo, Chairman of Ikatan Motor Indonesia (IMI) Nanan Soekarna, Rio’s manager, Piers Hunniset, Principal of Caterham Racing team Mia Sharizman, and motivator Andrie Wongso.